OZ MUSIC LEGENDS: "Australia's Little Miss Sweetheart"
Noeleen Batley, was one of the pioneering female stars of Australian Sixties pop. Nicknamed "Australia's Little Miss Sweetheart", her pleasing voice and demure girl-next-door image endeared her to teenagers and parents alike, and she is fondly remembered as a leading member of TV's "Bandstand Family" during the early Sixties. 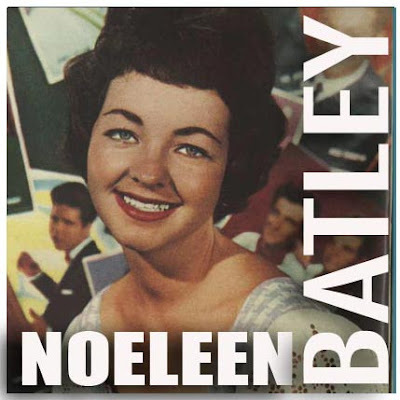 Compared to many other Australian acts, Noeleen enjoyed a very prolific recording career, with around 20 singles, at least eight EPs and three LPs to her credit, most of them recorded during the peak period of her career between 1960 and 1965.